Nutritional control is one important measure when on a weight reduction program. Eliminating a few foods with a high level of calories can help you shed the extra pounds quickly. Similarly, there are certain foods that you should consider adding to your diet. These are specifically the foods with a low level of calories. Research shows that taking foods with under forty calories can take you nearer to the desirable weight loss. Here is a list of Top 10 foods under 40 calories that should consider adding to your weight loss or weight management plan. Research shows that women who take who any type of grape fruit or grape juice, had a six per cent lower body mass index and weighed nearly ten pounds less than their counterparts who never consumed grapes. 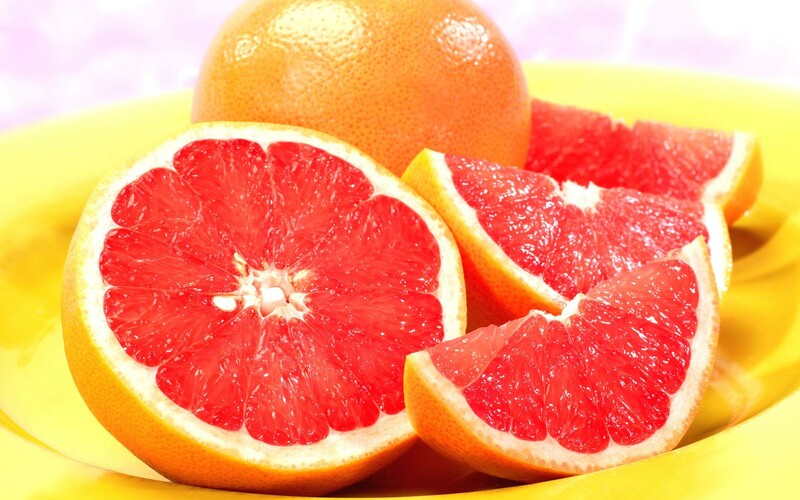 Grapefruits are considered to be an essential source of nutrients essential for heart health. It specifically contains folic acid, vitamin C, potassium and pectin, soluble fibers which may help to prevent the occurrence of atherosclerosis. Red and pink grapefruits also contain Vitamin A and lycopene, a phtyo-chemical that helps to protect arterial walls from oxidants. Beets are sweets and contain a low level of calories. They are full of cancer fighting antioxidants. Besides they sweet earthy deliciousness, beets are also rich in nutrients. They contain minerals such as potassium, iron, folate and fiber. They are also an excellent way to boost the nutritional value of salads and pasta dishes. They get their attractive and gorgeous color from betanin, a potent anti oxidant. There is a wide variety of berries. They include strawberries, raspberries and blueberries. Regardless of the berries you choose, each one of them contains anti-inflammatory which help to reduce the risks of cancer and heart attack. Recent research by the Cornell University Scientists indicates that wild blueberries contain the most active anti oxidants than any other fresh fruits. Blueberries contain high levels of anthocyanins, which are the most potent antioxidants. Tomatoes contain lycopene, a special antioxidant that is rarely found in other foods. Research shows that it helps to protect the skin from harmful ultraviolet rays, lower cholesterol and certain types of cancer. In addition, tomatoes are excellent nutritional powerhouses and contain high levels of vitamin C, fiber and potassium. Turnips are in the same family with potatoes. They are a good of vitamin C and fiber, and have low amounts glycemic acids. Turnips are mostly diced and toss into soups or sliced raw and used in crudite dishes. Cabbages are incredibly good, sweet and affordable. They are full of vitamins, minerals, fibers and other phytonuitretns which are thought to prevent certain types of cancer. Cabbages contain surphoraphane, a power anti carcinogenic substance and Glucosinolate a metabolic detoxifier. Purple cabbage is rich in anthocyanins and other natural chemicals that block the growth of cancer and promote cellular repair. Mushrooms are incredibly diverse and meaty. There are a wide varieties of mushrooms available in the market today such as the white button, shiitake, Maitake , and Portobello. All mushrooms contain some form of immune , boosting antioxidants, along with fiber , vitamin B and potassium. You can literally consume a lot of lettuce and never an ounce. Lettuce is full of minerals such as manganese , which help to regulate the blood sugar level and is essential for proper immune system function. Black coffee is one of the lowest calories drink choice, and good complement for a successful weight reduction program. Caffeine in coffee helps to speed up metabolism and fat burning processes. Research also indicates that coffee drinkers may be at lower risks of colon cancer, Parkinson’s disease and Type 2 of diabetes. With a good knowledge of the Top 10 foods under 40 calories, you can easily shed the extra pounds as well as manage your weight .